As the shock of the Orlando nightclub massacre slowly starts to fade from mainstream news, those of us not directly impacted and can still think critically ponder why something like this happened yet again within the confines of this country. What amazes me most about this is the fact that once again, too many people are beating around the bush as to the cause of this dreadful event. Seemingly after every tragic massacre in the United States, the first knee jerk reaction is the renewed call for gun control. This reaction is understandable. It’s the easiest “fix” to address. Yet while noble, it is misguided. Just as we’ve seen in the past, no amount of gun control would have prevented the cowardly Omar Mateen from obtaining the weapon and ammunition he used to murder and/or main over 100 unarmed innocent people. In light of the fact this massacre occurred in a gay nightclub, many are looking at this as an attack on the LGBT community. I tread lightly here, as I know that those that don’t conform to the strict heterosexual expectations of our “free” country face hate and discrimination on a seemingly daily basis. Yet the reality is, this was not a hate crime. The sad truth is this was a situation where this nightclub was a “soft” target…that happened to be frequented by those of the LGBT community. It was a target of opportunity and it could have been anyone of any “community” in that club on that fateful night. The gist of the article is pretty straightforward…America’s political correctness and indifference is literally killing us. While Americans bury our noses in our smart phones, binge watch Netflix, and pretend that all is good in the world, the reality is the world is anything but. In the name of political correctness, we refuse to acknowledge cultural and religious differences. In the name of not offending anyone, we refuse to acknowledge that there are cultures and religions that just may be at odds with ours! This approach is not only naïve and foolhardy…it is deadly. America…it is time to pull our heads out of our collective asses and address this issue for what it is. It is time to stop beating around the bush. Islam was responsible for the Orlando nightclub massacre. Islam is not a peaceful religion. Islam is a religion that breeds a culture that is at odds with American values and ideology. Political correctness is not going to fix this. We cannot continue, as a people, to blindly accept those that practice Islam with open arms unconditionally. We must question, and stand up to, those that challenge our way of life…especially on our own soil. If we do not…what happened in Orlando will continue to occur…and only get worse. 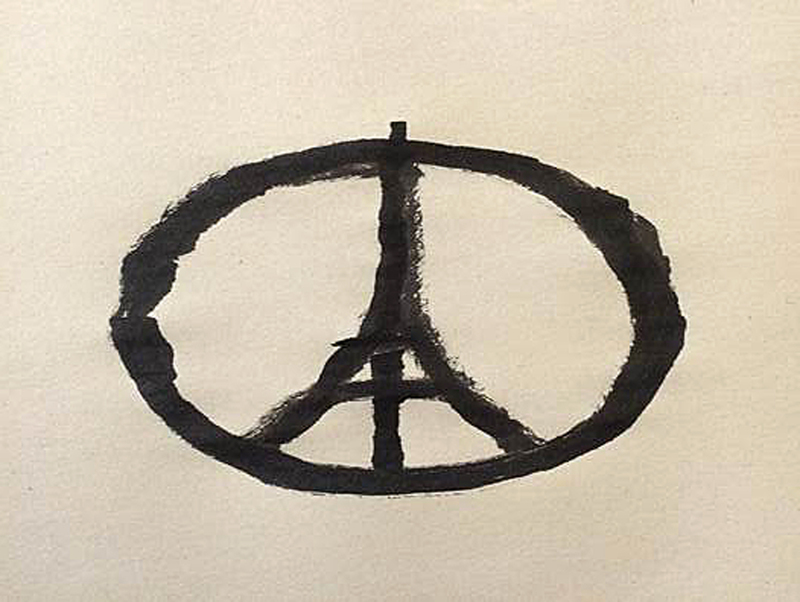 Like most of the world, I am deeply saddened…and utterly disgusted…by the massacre that occurred in Paris, France on November 13, 2015. One hundred twenty nine innocent, unarmed people, murdered yet again by cowards. It shouldn’t come as any surprise to those that know better that ISIS is responsible for these murders. Once again, Islamic fundamentalism is responsible for innocent people losing their lives. It is time to draw the line. It is time to put aside our political correctness. There is no place for Islam in today’s developed world. All developed nations must unite against the Islamic/Muslim scourge that threatens to upend this world as we know it. While many label ISIS as “Islamic extremism”…I believe ISIS is the face of Islam itself. One hundred twenty nine innocent people were murdered at the hands of “a peaceful religion”. It is time for those that practice Islam to pay for their injustices.